The search for a pickle with incredible depth of flavor, an intensely satisfying crunch, and a visually appealing look is now over with these Epic Pickles garlic dill pickles. Loaded with fresh, whole and minced garlic, dill, black peppercorns, and mustard seeds, these pickles provide a tangy, gourmet flavor that will delight any customers' taste buds. 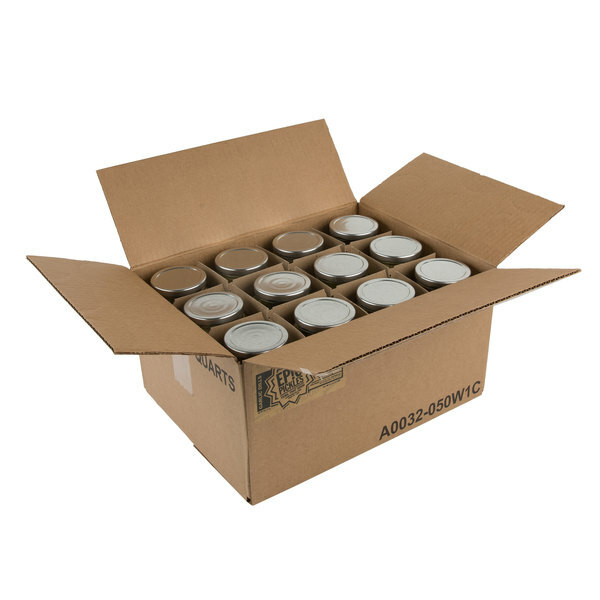 While these are great for serving with your artfully crafted artisan sandwiches, don't let your imagination end there! Offer crispy fried dill pickles on your appetizer or bar bites menu, create a delicious dill pickle dip, or put a twist on the classic bloody mary that will have any pickle-obsessed customer craving more. These are also great for having on hand in your cafe or deli for pickle fanatics looking for a refreshing, one-of-a-kind snack on the go. These pickles are hand crafted using only the freshest cucumbers and pickled in a brine made from the finest ingredients. 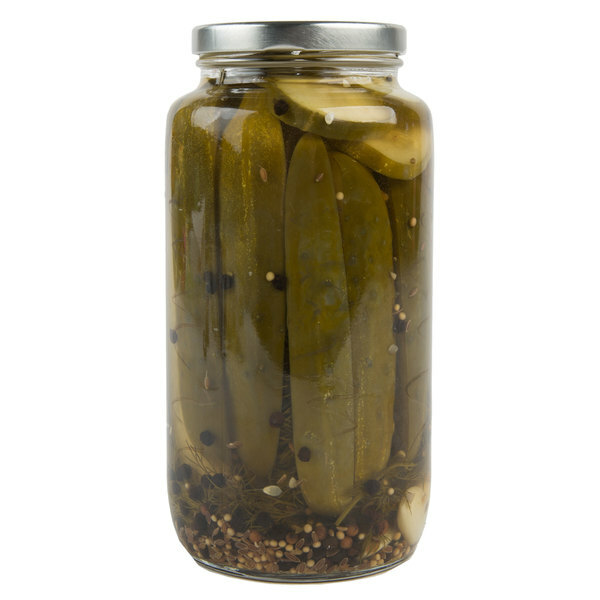 The result is an artisanal pickle with smooth notes of garlic and a tangy finish. Provide a delicious twist on the classic dill pickle to your customers with these garlic dill pickles! 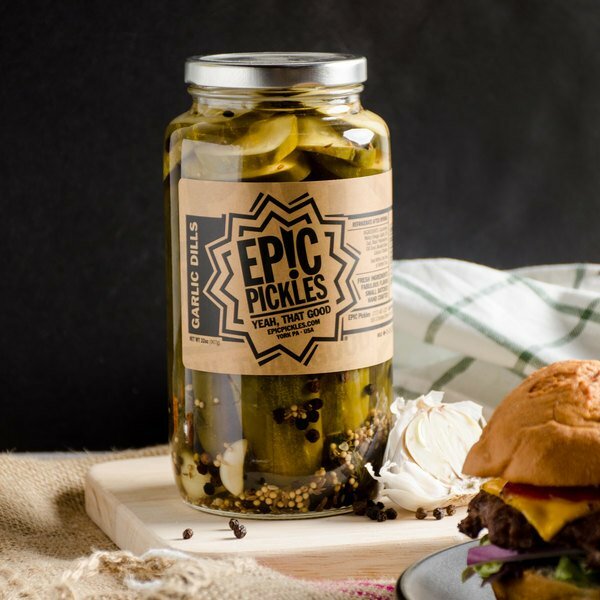 Born from a love of artisan food and made for those who wish to never live a life without pickles, Epic Pickles delivers gourmet pickles with a taste so intense you'll never want to go back to the ordinary. Located in York, Pennsylvania, all of their products are washed, cut, sliced, and stuffed by hand in small batches, using only the freshest ingredients. 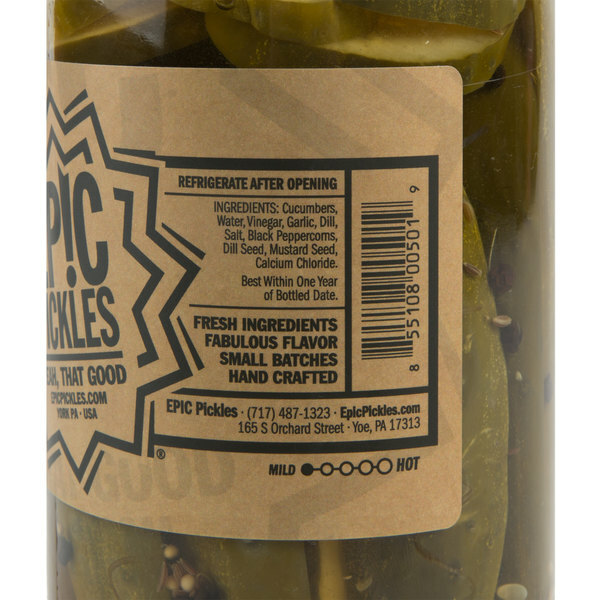 Handcrafted from pickling experts with care, these pickles provide your customers with epic taste! 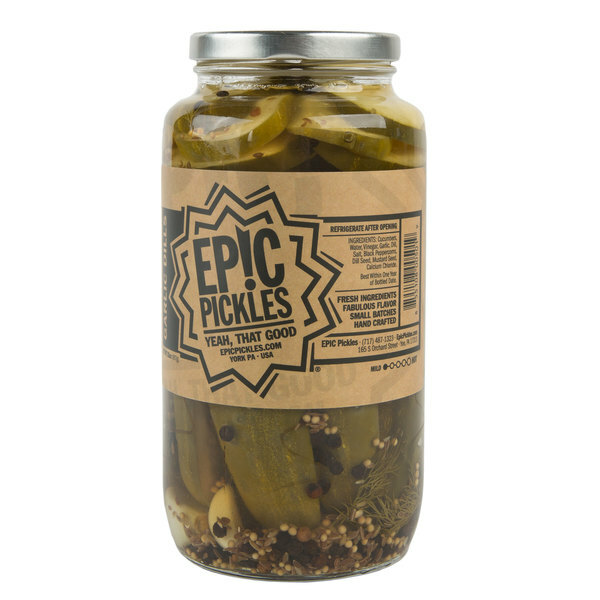 These epic pickles are delicious! They have so much flavor and crunch to them. Hard to stop eating them. Lol. Great on sandwiches or just to have a few as a snack.